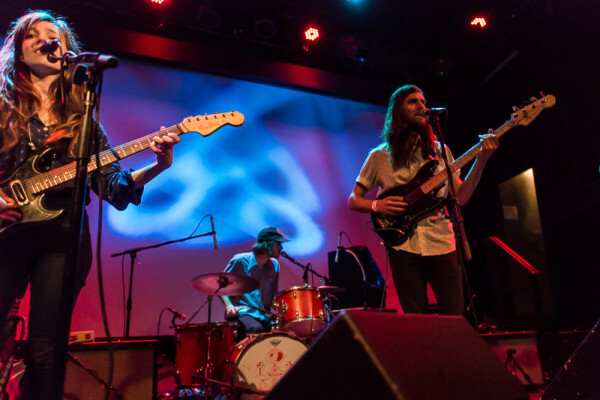 We have already posted our recording of Woods set from this show, so now we’re fortunate to be able to feature the recording of the outstanding set from Quilt at Bowery Ballroom last month. Quilt first came onto our radar a couple of years back when acidjack saw them at Glasslands, and then last year when I caught the band’s set at Baby’s All Right. But neither of those two shows quite prepared us for the quality of the performance on this great Bowery night. Quilt’s new album Held in Splendor (Mexican Summer) was produced by Jarvis from Woods and released in January. The album represents a step-up in terms of the band’s maturity, songwriting and harmonies. In the live setting, Quilt also continues to grow. The Bowery set featured everything from sweet numbers like “Tie Up The Tides” (streaming below) to ferocious jamming vehicles like an extended “Mary Mountain” or the ten-minute version of “Milo” that anchored the set. At this point, things continue to look up for Quilt as their tour with Woods was an unqualified success — but having played 85 shows thus far this year, the band is taking a short well-earned break. We look forward to their impending return. I recorded this set with the Sennheisers mounted in our standard balcony rail location and mixed with a fine board feed from Bowery legend Kenny. We are very pleased to report that the sound quality is superb. Enjoy! 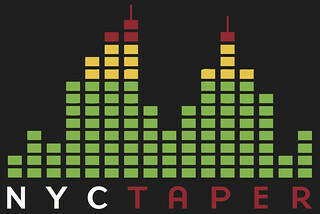 If you download this recording from NYCTaper PLEASE SUPPORT Quilt, visit their website, visit their Facebook page, and purchase Held In Splendor from the Mexican Summer Records website [HERE]. Thanks much for this. I have both their CDs (as well as the split 10″ with Mmoss on Beyond Beyond Is Beyond Records) and they are highly recommended.